For the anatomy concept, see Topographic map (neuroanatomy). For broader coverage of this topic, see Terrain cartography. In modern mapping, a topographic map is a type of map characterized by large-scale detail and quantitative representation of relief, usually using contour lines, but historically using a variety of methods. Traditional definitions require a topographic map to show both natural and man-made features. A topographic survey is typically published as a map series, made up of two or more map sheets that combine to form the whole map. A contour line is a line connecting places of equal elevation. These maps depict in detail ground relief (landforms and terrain), drainage (lakes and rivers), forest cover, administrative areas, populated areas, transportation routes and facilities (including roads and railways), and other man-made features. Other authors define topographic maps by contrasting them with another type of map; they are distinguished from smaller-scale "chorographic maps" that cover large regions, "planimetric maps" that do not show elevations, and "thematic maps" that focus on specific topics. However, in the vernacular and day to day world, the representation of relief (contours) is popularly held to define the genre, such that even small-scale maps showing relief are commonly (and erroneously, in the technical sense) called "topographic". The study or discipline of topography is a much broader field of study, which takes into account all natural and man-made features of terrain. Topographic maps are based on topographical surveys. Performed at large scales, these surveys are called topographical in the old sense of topography, showing a variety of elevations and landforms. This is in contrast to older cadastral surveys, which primarily show property and governmental boundaries. The first multi-sheet topographic map series of an entire country, the Carte géométrique de la France, was completed in 1789. The Great Trigonometric Survey of India, started by the East India Company in 1802, then taken over by the British Raj after 1857 was notable as a successful effort on a larger scale and for accurately determining heights of Himalayan peaks from viewpoints over one hundred miles distant. Topographic surveys were prepared by the military to assist in planning for battle and for defensive emplacements (thus the name and history of the United Kingdom's Ordnance Survey). As such, elevation information was of vital importance. As they evolved, topographic map series became a national resource in modern nations in planning infrastructure and resource exploitation. In the United States, the national map-making function which had been shared by both the Army Corps of Engineers and the Department of the Interior migrated to the newly created United States Geological Survey in 1879, where it has remained since. 1913 saw the beginning of the International Map of the World initiative, which set out to map all of Earth's significant land areas at a scale of 1:1 million, on about one thousand sheets, each covering four degrees latitude by six or more degrees longitude. Excluding borders, each sheet was 44 cm high and (depending on latitude) up to 66 cm wide. Although the project eventually foundered, it left an indexing system that remains in use. 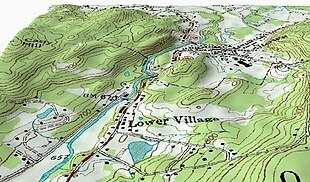 By the 1980s, centralized printing of standardized topographic maps began to be superseded by databases of coordinates that could be used on computers by moderately skilled end users to view or print maps with arbitrary contents, coverage and scale. For example, the Federal government of the United States' TIGER initiative compiled interlinked databases of federal, state and local political borders and census enumeration areas, and of roadways, railroads, and water features with support for locating street addresses within street segments. TIGER was developed in the 1980s and used in the 1990 and subsequent decennial censuses. Digital elevation models (DEM) were also compiled, initially from topographic maps and stereographic interpretation of aerial photographs and then from satellite photography and radar data. Since all these were government projects funded with taxes and not classified for national security reasons, the datasets were in the public domain and freely usable without fees or licensing. TIGER and DEM datasets greatly facilitated Geographic information systems and made the Global Positioning System much more useful by providing context around locations given by the technology as coordinates. Initial applications were mostly professionalized forms such as innovative surveying instruments and agency-level GIS systems tended by experts. By the mid-1990s, increasingly user-friendly resources such as online mapping in two and three dimensions, integration of GPS with mobile phones and automotive navigation systems appeared. As of 2011, the future of standardized, centrally printed topographical maps is left somewhat in doubt. Topographic maps have multiple uses in the present day: any type of geographic planning or large-scale architecture; earth sciences and many other geographic disciplines; mining and other earth-based endeavours; civil engineering and recreational uses such as hiking and orienteering. The various features shown on the map are represented by conventional signs or symbols. For example, colors can be used to indicate a classification of roads. These signs are usually explained in the margin of the map, or on a separately published characteristic sheet. Topographic maps are also commonly called contour maps or topo maps. In the United States, where the primary national series is organized by a strict 7.5-minute grid, they are often called topo quads or quadrangles. Topographic maps conventionally show topography, or land contours, by means of contour lines. Contour lines are curves that connect contiguous points of the same altitude (isohypse). In other words, every point on the marked line of 100 m elevation is 100 m above mean sea level. These maps usually show not only the contours, but also any significant streams or other bodies of water, forest cover, built-up areas or individual buildings (depending on scale), and other features and points of interest. Today, topographic maps are prepared using photogrammetric interpretation of aerial photography, lidar and other Remote sensing techniques. Older topographic maps were prepared using traditional surveying instruments. The cartographic style (content and appearance) of topographic maps is highly variable between national mapping organizations and aesthetic traditions and conventions persist, particularly amongst European countries at medium map scales. Although virtually the entire terrestrial surface of Earth has been mapped at scale 1:1,000,000, medium and large-scale mapping has been accomplished intensively in some countries and much less in others. Nevertheless, national mapping programs listed below are only a partial selection. Several commercial vendors supply international topographic map series. The NMIG (National Mapping Information Group) of Geoscience Australia is the Australian Government's national mapping agency. It provides topographic maps and data to meet the needs of the sustainable development of the nation. The Office of Spatial Data Management provides an online free map service MapConnect. These topographic maps of scales 1:250,000 and 1:100,000 are available in printed form from the Sales Centre. 1:50,000 and 1:25,000 maps are produced in conjunction with the Department of Defence. Austrian Maps (German: Österreichische Karte (ÖK)) is the government agency producing maps of Austria, which are distributed by Bundesamt für Eich- und Vermessungswesen (BEV) in Vienna. The maps are published at scales 1:25,000 1:50,000 1:200,000 and 1:500,000. Maps can also be viewed online. The Centre for Topographic Information produces topographic maps of Canada at scales of 1:50,000 and 1:250,000. They are known as the National Topographic System (NTS). A government proposal to discontinue publishing of all hardcopy or paper topographic maps in favor of digital-only mapping data was shelved in 2005 after intense public opposition. The State Bureau of Surveying and Cartography compiles topographic maps at 1:25,000 and 1:50,000 scales. It is reported that these maps are accurate and attractively printed in seven colors, and that successive editions show progressive improvement in accuracy. These large-scale maps are the basis for maps at smaller scales. Maps at scales 1:4,000,000 or smaller are exported by Cartographic Publishing House, Beijing while larger-scale maps are restricted as state secrets, and prohibited from publishing by legislation, all except Hong Kong and Macau. China's topographic maps follow the international system of subdivision with 1:100,000 maps spanning 30 minutes longitude by 20 minutes latitude. The Geographic Institute Agustín Codazzi is the government entity responsible for producing and distributing topographic maps of Colombia in 1:500,000 and 1:100,000 scales. These and several other Geographic information services can be accessed using the Instituto Geográfico Agustin Codazzi website in Spanish. In principle, each federal state (Bundesland) is in charge of producing the official topographic maps. In fact, the maps between 1:5,000 and 1:100,000 are produced and published by the land surveying offices of each federal state, the maps between 1:200,000 and 1:1,000,000 by a federal house – the Bundesamt für Kartographie und Geodäsie (BKG) in Frankfurt am Main. The Department of Lands is the government agency responsible for surveying and publishing topographic maps of Hong Kong. Commonly used maps such as the HM20C series (1:20,000) are reviewed and updated every year or two. Very large scale (1:600 in Urban area and the 1:1,000 HM1C series for all of HK) topographic maps are also available to public for various uses. 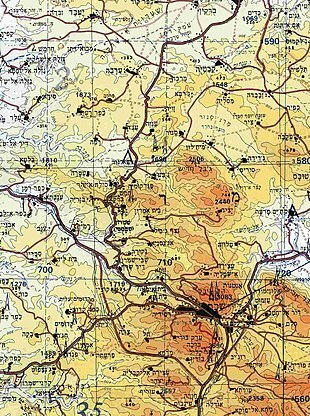 The Survey of Israel is responsible for the civilian mapping of Israel. Standard map scales are 1:50,000 and 1:100,000. The 1:50,000 map is available online. Israel is the country where many high elevation places are there. The Military Intelligence Directorate of the Israeli defense forces has its own mapping unit, which is a sub-unit of Unit 9900. The Geographical Survey Institute of Japan is responsible for base mapping of Japan. Standard map scales are 1:25,000, 1:50,000, 1:200,000 and 1:500,000. From 1992 to 2002 a definitive series of large scale topographic maps were surveyed and published through a joint project by Government of Nepal Survey Department and Finland's Ministry for Foreign Affairs contracting through the FinnMap consulting firm. Japan International Cooperation Agency substituted for FinnMap in Lumbini Zone. Topographic sheets at 1:25,000 scale covering 7.5 minutes latitude and longitude map the densely populatedTerai and Middle Mountain regions. Less populated high mountain regions are on 15-minute sheets at 1:50,000. JPG scans can be downloaded. The Land Registry Kadaster (formerly Topografische Dienst) collects, processes and provides topographical information of the entire Dutch territory. The history of the Land Registry goes back to the year 1815, that year was commissioned to create a large map, known as Map of Krayenhoff. Around 1836 they began printing the topographic map on a scale of 1: 50,000, followed in 1865 by the topographic map on a scale of 1: 25,000. In 1951 began the start of production of the topographic map on a scale of 1: 10,000. From various reorganizations arose in 1932 the Topografische Dienst as national mapping agency of the Netherlands, since January 2004 housed within the Land Registry Kadaster. Land Information New Zealand is the government agency responsible for providing up-to-date topographic mapping. LINZ topographic maps cover all of New Zealand, offshore islands, some Pacific Islands and the Ross Sea Region. 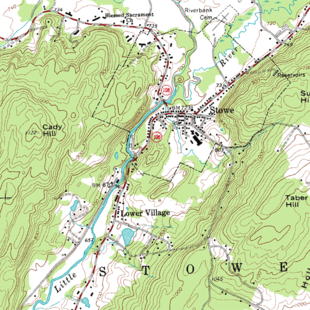 The standard issue NZTopo map series was published September 2009 at 1:50,000 (NZTopo50), and 1:250,000 (NZTopo250). Vector data from the New Zealand Topographic Database (NZTopo) is also available. The responsibility for topographic mapping and aerial photography lies with the Surveyor General of Pakistan [SGP]. Established in 1947, the Survey of Pakistan (SOP) is based in Rawalpindi with a number of regional offices distributed at urban centers throughout Pakistan. SGP is a civil organization which, for security reasons, is headed by a Surveyor General and works under the strict control of Army General Headquarters (GHQ). Colonel C.A.K. Innes-Wilson, a Royal Engineers officer who joined the Survey of India which mapped the subcontinent, was the first Surveyor General of Pakistan. All departments which require topographic maps make their request to SGP and many are permanently registered with it for mapping and aerial photographs procurement. The SOP performs these functions under the auspices of the Ministry of Defence (MOD). Organisationally, the SOP is overseen by the Surveyor General (SG) who is a direct military appointee and a senior uniformed officer. The SG reports directly to the Secretary of Defence. Under the SG are two Deputy SG’s (I and II) who manage the operational departments of the agency and a Senior Technical Advisor. These departments are divided into Regional Directorates for Topographic Mapping including the Northern region centred in Peshawar, Eastern region (Lahore), Western region (Quetta) and finally, the Southern region in Karachi. Responsibility for fields surveys and the maintenance/update of topographic maps are sub-divided according to these geographic areas. The Army's Geographical Institute - Instituto Geográfico do Exército  - produces 1.25,000, 1:500,000 maps for public sale, as well as lots of geographical services. Until recently, the two major government mapping authorities in Romania have been the Military Topographic Department (Directia Topografica Militara (DTM)), and the Institute for Geodesy, Photogrammetry, Cartography and Land Management (Institutul de Geodezie, Fotogrammetrie, Cartografie, si Organizarea Teritoriului (IGFCOT)). This situation has recently changed, following a decision in 1996 by the Romanian Government to establish a combined civilian National Office of Cadastre, Geodesy and Cartography (Oficiul National de Cadastru, Geodezie si Cartografie (ONCGC). Maps continued to be published under the imprint of the previous organizations into the late 1990s. From 1958, a number of town maps at scales of 1:5,000 or 1:10,000 were also made, initially on the Gauss-Krϋger projection, but after 1970 on a stereographic projection. More than 100 such sheets have been produced. There is also a street map of Bucharest in four sheets at 1:15,000 derived from larger scale surveys, which is revised annually. The 1:50,000 series in 737 sheets is now regarded as the base map. It was revised in the period 1965-72 using aerial photographs, and is currently being updated again with the intention of establishing a revision cycle of five to six years. The 1:25,000 will be retained, but revision only at 15-20-year intervals, except for sheets covering areas of rapid change. Detailed, accurate topographic maps have long been a military priority. They are currently produced by the Military-topographic service of armed forces of the Russian Federation (Russian: Военно-топографическая служба Вооружённых сил Российской Федерации or ВТС ВС). Military topographic mapping departments held other titles in the Russian Empire since 1793 and in the Soviet Union where these maps also came to be used for internal control and economic development. When Germany invaded in 1941, detailed maps from the USSR's western borders to the Volga River became an urgent task, accomplished in less than one year. After the war years the entire Soviet Union was mapped at scales down to 1:25,000—even 1:10,000 for the agriculturally productive fraction. The rest of the world except Antarctica is believed to have been mapped at scales down to 1:200,000, with regions of special interest down to 1:50,000 and many urban areas to 1:10,000. In all there may have been over one million map sheets of high quality and detail. 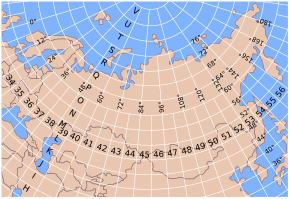 Soviet maps were also notable for their consistent global indexing system. These advantages held for Soviet military maps of other countries, although there were some errors due to faulty intelligence. Soviet maps for domestic civilian purposes were often of lower quality. From 1919 to 1967 they were produced by Head geodesic administration (Russian: Высшее геодезическое управление or ВГУ), then by Chief administration of geodesy and cartography (Russian: Главное управление геодезии и картографии or ГУГК). Now (June 2011) civilian maps are produced by the Federal agency for geodesy and cartography (Russian: Федеральное агентство геодезии и картографии or Роскартография). Soviet military maps were state secrets. After the 1991 breakup of the Soviet Union, many maps leaked into the public domain and are available for download. Map scales 1:100.000 - 1:500.000 can be viewed online. The Instituto Geográfico Nacional (IGN) is responsible for the official topographic maps. It does use six scales that cover all the Spanish territory: 1:25,000, 1:50,000, 1:200,000, 1:500,000, 1:1,000,000 and 1:2,000,000. The most common scale is the first one, which utilizes the UTM system. The Chief Directorate: National Geo-spatial Information (CD:NGI) produces three topographic map series, each covering the whole country, at scales 1:50 000, 1:250 000, and 1:500 000. Topographic maps for Taiwan had long been kept as confidential information due to security concerns. It has only been recently made available to public from the National Land Surveying and Mapping Center, the government agency responsible for surveying and publishing various maps. Topographic maps of up to 1:25,000 is now available in digital and printed format. The Ordnance Survey (OS) produces topographic map series covering the United Kingdom at 1:25,000 and 1:50,000 scales. The 1:25,000 scale is known as the "Explorer" series, and include an "OL" (Outdoor Leisure) sub-series for areas of special interest to hikers and walkers. It replaced the "Pathfinder" series, which was less colourful and covered a smaller area on each map. The 1:50,000 scale is known as the "Landranger" and carries a distinctive pink cover. More detailed mapping as fine as 1:10,000 covers some parts of the country. The 1:25,000 and 1:50,000 scales are easily coordinated with standard romer scales on currently available compasses and plotting tools. The Ordnance Survey maintains a mapping database from which they can print specialist maps at virtually any scale. The Ordnance Survey National Grid divides the U.K. into cells 500 km, 100 km, 10 km and 1 km square on a Transverse Mercator grid aligned true North-South along the 2°W meridian. OS map products are based on this grid. The United States Geological Survey (USGS), a scientific federal agency, produces several national series of topographic maps which vary in scale and extent, with some wide gaps in coverage, notably the complete absence of 1:50,000 scale topographic maps or their equivalent. The largest (both in terms of scale and quantity) and best-known topographic series is the 7.5-minute or 1:24,000 quadrangle. This scale is unique to the United States, where nearly every other developed nation has introduced a metric 1:25,000 or 1:50,000 large scale topo map. The USGS also publishes 1:100,000 maps covering 30 minutes latitude by one degree longitude, 1:250,000 covering one by two degrees, and state maps at 1:500,000 with California, Michigan and Montana needing two sheets while Texas has four. Alaska is mapped on a single sheet, at scales ranging from 1:1,584,000 to 1:12,000,000. The Mount Marcy area of New York State in 1892 in a 15-minute quadrangle at 1:62,500. The same area about a century later (1979) in a 7.5- by 15-minute metric map at 1:25,000. Recent USGS digital National Map omits several important geographic details that were featured in the original USGS topographic map series (1945-1992). Examples of omitted details and features include power transmission lines, telephone lines, railroads, recreational trails, pipelines, survey marks, and buildings. For many of these feature classes, the USGS is working with other agencies to develop data or adapt existing data on missing details that will be included in The National Map. In other areas USGS digital map revisions may omit geographic features such as ruins, mine locations, springs, wells, and even trails in an effort to protect natural resources and the public at large, or because such features are not present in any public domain database. ^ P. D. A. Harvey, The History of Topographical Maps: Symbols, Pictures and Surveys, Thames and Hudson, 1980, ISBN 0-500-24105-8, p. 9. "By a topographical map, we mean a large-scale map, one that sets out to convey the shape and pattern of landscape, showing a tiny portion of the earth's surface as it lies within one's own direct experience, and quite distinct from the small-scale maps that show us the features of whole provinces, nations and continents." ^ a b Art & Architecture Thesaurus entry for topographic maps Archived 7 June 2011 at the Wayback Machine. ^ Committee on Nomenclature of the American Society of Photogrammetry, "Definitions of terms used in photogrammetric surveying and mapping: preliminary report", Photogrammetric Engineering, 8, 247-283, 1942. "Topographic Map. A map that presents the horizontal and vertical positions of the features represented; distinguished from a planimetric map by the addition of relief in measurable form." This definition is used in many glossaries of map terminology. ^ M.-J. Kraak and F. Ormeling, Cartography: Visualization of Spatial Data, Longman, 1996, ISBN 0-582-25953-3, p. 44. "Traditionally, the main division of maps is into topographic and thematic maps. Topographic maps supply a general image of the earth's surface: roads, rivers, buildings, often the nature of the vegetation, the relief and the names of the various mapped objects." ^ The range of information is indicated by the title of a map produced in 1766: A Topographical Map of Hartfordshire from an Actual Survey in which is Express'd all the Roads, Lanes, Churches, Noblemen and Gentlemen's Seats, and every Thing remarkable in the County, by Andrew Dury and John Andrews, reprinted by Hertfordshire Publications in 1980. This showed the relief by using hachures. ^ Dickey, Parke A (October 1985). "Who discovered Mount Everest?". Eos. 66 (41): 54–59. Retrieved 26 June 2011. ^ Peter Barber, The Map Book, Weidenfeld & Nicolson, 2005, ISBN 0-297-84372-9, pp. 232, 250. ^ "Organizing the U.S. Geological Survey". The United States Geological Survey: 1879-1989. U.S. Geological Survey, U.S. Department of the Interior. 10 April 2000. Archived from the original on 2 July 2007. Retrieved 19 June 2007. ^ "The Four Great Surveys of the West". The United States Geological Survey: 1879-1989. U.S. Geological Survey, U.S. Department of the Interior. 10 April 2000. Archived from the original on 10 June 2007. Retrieved 19 June 2007. ^ Ramirez, J. Raul. "Maps for the Future: A Discussion" (PDF). Archived from the original (PDF) on 22 November 2011. Retrieved 1 July 2011. ^ Ordnance Survey, Explorer Map Symbols Archived 1 November 2012 at the Wayback Machine; Swisstopo, Conventional Signs Archived 26 July 2011 at the Wayback Machine; United States Geological Survey, Topographic Map Symbols Archived 10 September 2008 at the Wayback Machine. ^ Kent, Alexander J.; Vujakovic, Peter (August 2009). "Stylistic Diversity in European State 1 : 50 000 Topographic Maps". The Cartographic Journal. 46 (3): 179–213. doi:10.1179/000870409x12488753453453. ISSN 0008-7041. ^ Pickles, John. Cartography, Digital Transitions, and Questions of History (PDF). International Cartographic Association, 1999. Ottawa. p. 17. Archived (PDF) from the original on 23 November 2011. Retrieved 29 June 2011. ^ Organisation., c=AU; o=Commonwealth of Australia; ou=Department of Defence; ou=Australian Geospatial-Intelligence. "AGO: Home". www.defence.gov.au. Archived from the original on 11 September 2016. Retrieved 1 May 2018. ^ "Austrian Map Online". Archived from the original on 15 June 2011. Retrieved 29 June 2011. ^ Centre for Topographic Information website Archived 24 December 2007 at the Wayback Machine. ^ "Canada shreds plan to scrap paper maps". CBC News. 12 October 2006. Archived from the original on 18 August 2007. ^ Chen, Cheng-siang; Au, Kam-nin. Some Recent Developments in Geoscience in China (PDF) (Report). pp. 37–41. Archived from the original (PDF) on 2 June 2012. Retrieved 26 June 2011. ^ "Chen and Au, op. cit." (PDF). Archived from the original (PDF) on 2 June 2012. ^ "Instituto Geográfico Agustin Codazzi website". igac.gov.co. Archived from the original on 30 March 2018. Retrieved 1 May 2018. ^ Kort & Matrikelstyrelsens website Archived 4 August 2006 at the Wayback Machine (in Danish). ^ "MapSite - National Land Survey of Finland". www.mapsite.fi. Retrieved 1 May 2018. ^ National Land Survey of Finland Archived 26 October 2007 at the Wayback Machine. ^ Institut Géographique National website Archived 23 February 2011 at Wikiwix (in French, English and German). ^ "Untitled". web.gys.gr. Archived from the original on 22 October 2017. Retrieved 1 May 2018. ^ "地政總署測繪處 - 關於測繪處". www.landsd.gov.hk. Archived from the original on 17 September 2017. Retrieved 1 May 2018. ^ "Japan maps and guides from Omnimap, a leading international map store with 275,000 map titles". www.omnimap.com. Archived from the original on 12 September 2017. Retrieved 1 May 2018. ^ "Government of Nepal, Survey Department". Archived from the original on 22 February 2014. Retrieved 4 February 2014. ^ "Land Administration & Management, Mapping, Surveying and Aerial Photography, Major Reference Projects" (PDF). FinnMap. Archived from the original (PDF) on 22 February 2014. Retrieved 4 February 2014. ^ "Japan International Cooperation Agency". Archived from the original on 8 February 2014. Retrieved 4 February 2014. ^ "Nepal-Topo Maps". PAHAR Mountains of Central Asia Digital Dataset. MyPublisher. 9 March 2013. Archived from the original on 5 January 2014. Retrieved 31 January 2014. ^ David Watt (December 2005). "Soviet Military Mapping" (PDF). Sheetlines. 74: 9–12. Archived (PDF) from the original on 7 August 2011. Retrieved 5 June 2011. ^ John Davies (April 2005). "Uncle Joe knew where you lived. Soviet mapping of Britain (part 1)" (PDF). Sheetlines. 72: 26–38. Archived (PDF) from the original on 7 August 2011. Retrieved 5 June 2011. ^ J. Davies (August 2005). "...(part 2)" (PDF). Sheetlines. 73: 6–20. Archived (PDF) from the original on 7 August 2011. ^ "J. Davies (part 2), op. cit." (PDF): 11ff. Archived (PDF) from the original on 7 August 2011. ^ "J. Davies (part 2), op. cit." (PDF): 6–7. Archived (PDF) from the original on 7 August 2011. ^ "Карты" [Maps] (in English and Russian). Archived from the original on 14 July 2011. Retrieved 5 June 2011. ^ "Soviet Military Maps" [Online Viewer]. Archived from the original on 29 April 2012. Retrieved 13 July 2011. ^ "Collection of Soviet Military Map Country Mosaics 1:200,000 Scale" [Online Viewer]. Retrieved 22 May 2013. ^ "Ordnance Survey: Britain's mapping agency". www.ordnancesurvey.co.uk. Archived from the original on 1 December 1998. Retrieved 1 May 2018. ^ The MasterMap Topography Layer contains information about buildings, roads, woodland, administrative boundaries, etc., with just a few spot heights along the roads. For contours or a digital terrain model, a separate product called OS Terrain Archived 1 July 2013 at the Wayback Machine is required. ^ "USGS Map Booklet". USGS. Archived from the original on 9 May 2015. Retrieved 22 May 2015. USGS Topographic maps are downloadable as pdf files from a searcheable map or by a search if the map name is known. This page was last edited on 26 March 2019, at 05:48 (UTC).